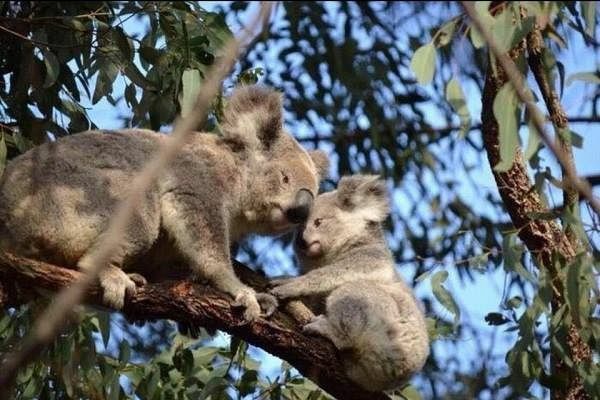 Sue Arnold talks to Senator Janet Rice about the Senate Inquiry into Faunal Extinction's Interim Report and the catastrophic and irreversible ramifications if its recommendations are ignored. Australia’s environment is in crisis. The recent release of the Interim Report by the Senate Inquiry into Faunal Extinction, 'The Senate Environment and Communications References Committee Australia’s faunal extinction crisis', provides a damning testimony of the appalling loss of wildlife and habitats facilitated by the failures of the Federal Government to protect the environment. The Inquiry has heard evidence that the scale and speed of decline for Australian threatened fauna is nothing short of scandalous. We are in the midst of the sixth great mass extinction event. What is clear from the evidence so far is that there is nothing inevitable about species extinction, it is a choice. Our existing laws and mechanisms are little more than processes to be stepped through by project components. They have failed to prevent faunal extinction and species decline. Senator Janet Rice chairs the Inquiry. A long-serving Greens politician, Senator Rice is a veteran of the Franklin Dam campaign and many other key environmental battles. Her concern for the environment gave birth to this critically important inquiry. Hundreds and hundreds of submissions were received from scientists, conservation organisations and community groups. Given the looming Federal Election, Senator Rice and her committee made the decision to publish an interim report which details a shocking saga of deliberate policies of destruction. The most important issue to arise from the Inquiry thus far is how totally inadequate our current Federal legislation is in terms of protecting the environment. We’re dealing with the drivers of extinction. The EPBC Act is totally inadequate to deal with the situation — the problem is there’s no framework for protection. So many developments are not referred to the federal government for approval. There are no actions to minimise impacts, a lack of monitoring and compliance. We have a situation where Federal legislation leaves it up to the states to implement approvals and no mechanisms for follow up. Offsets are a total joke — they don’t work. They’re accepted as the mechanics to ostensibly deal with impacts but incapable of doing the job. ... If elected, Labor will establish an Australian Environment Act in our first term. It will be an Act which protects our environment but also supports job-creating development by streamlining and harmonising processes. The new legal framework will compel the Australian government to actively protect our unique natural environment and demonstrate national leadership. Although the words sound great, the drivers of extinction which have been named in the report fail to include specific details of the impacts of bilateral agreements between federal and state governments. Bilateral agreements between the Commonwealth and state governments have allowed an open slather situation which prohibits legal challenges. Nor has the report elaborated on the Common Assessment Method (COM) adopted by all states as a result of a Memorandum of Understanding created by former Minister for the Environment Greg Hunt in 2015. This COM allows for one national listing of threatened species, a significant step backwards as it eliminates the possibility of protecting regional and locally important populations. Unless the COM is repealed – and this seems unlikely given Labor’s commitment to “harmonising processes” – the COM will continue to act as a major driver of extinction. Excerpts from the Interim Report provide useful guidance to evaluate the impacts of environmental crisis and the failure to protect the environment on Australia’s economy. The Centre for Ecosystem Science emphasised the importance of maintaining healthy ecosystems and argued that 'prolonged over-exploitation of [Australia's] landscapes has eroded their capacity to deliver economic prosperity and security'. Ecosystems deliver services such as clean water and air, soil stability and fertility, climate regulation, carbon storage, recreational and tourism opportunities, as well as production goods such as food, fibre and timber. Although many of these services are often regarded as economic externalities, they cannot be taken for granted and their maintenance costs cannot be ignored without eroding Australian incomes and business profitability. The loss of ecosystems can have catastrophic impacts which are difficult to predict. Ecological networks, like all complex systems, behave in unpredictable ways when components are removed (become extinct). Ecological processes are critical to sustainable farming, eg pollination, water filtration, breakdown of crop residues and the recycling of nutrients. Fauna play roles in these things. Cumulative impacts of developments have been ignored by the EPBC Act and ministerial discretion. … the legal requirement for consideration of cumulative impacts is limited. ... unless you go to the stage of an integrated assessment the act does not easily allow for cumulative impacts. So, while it would look at one application at a time, it doesn't take into account that each action, each development, might have an impact on this species habitat such that overall it becomes an unsustainable situation, even though each individual agreement may be appropriate. Biodiversity in all its complexity is essential for the maintenance of ecosystem services, clean and adequate water supplies, clean air, soil fertility and stability, carbon sequestration and to address climate change. Human health and prosperity as well as that of the natural worldis ultimately dependent upon addressing faunal extinctions. A healthy fauna can only exist in conjunction with a healthy flora and microbiota. We’ve got a lot more work to do. We need to see what’s happening on the ground, mapping that needs to be undertaken. We need a whole new suite of environmental legislation. It’s going to be important to have an independent Environment Protection Agency with sufficient powers and funding to ensure compliance at the state and federal level. In the final analysis, the interim report details a catastrophic crisis which deserves immediate emergency powers and action. Whether this Report is acted upon or consigned to the political garbage bin will soon be known. A failure to act will have profound and irreversible ramifications.